***REDUCED $50,000*** Turn-key 1998 rebuild lakefront dream home on All-Sports Middle Straits Lake. East to west panoramic views from just about every room. 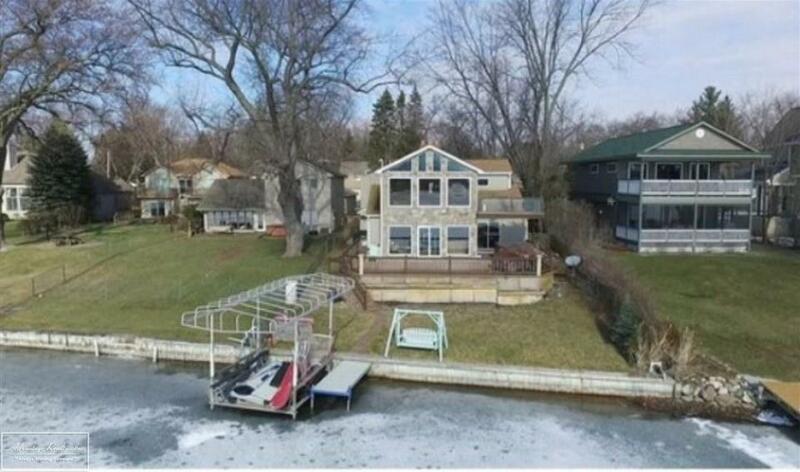 Four bedrooms, four full baths, over 50 feet of lakefront to enjoy, New A/C ('16), New Furnace ('18), featuring new granite kit and baths, composite decks, hot tub, sauna, liv rm, dining and FR. Extended parking for entertaining . Back yard is south facing. Fabulous vantage points from soaring windows and ceilings. Romantic master suite with private balcony, WIC & more. Large guest bedrooms. Dressing rm off sauna, plus large first floor mudroom off over sized 2 car garage. 2nd flr laundry! Renowned Walled Lake Schools and W Bloomfield Twp svcs, parks & recreation. Private Access to Tripps Beach Assoc. & boat launch. Beach has roped off swim area & playground. Wonderful location for quick access to M-5, 696, and within 30 minutes of Detroit Metro Airport, 45 to Somerset Mall and downtown Detroit.